10 *Amazing* Hair Packs To Use A Month Before Your Wedding! Believe it or not, but dahi has superpowers! Packed with Vitamin B complex, your hair is bound to get the nourishment it craves for. Team it up with amla powder and you’ll have the coolest hair pack ever! 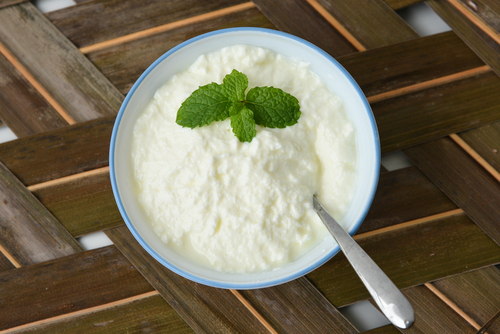 Step 1: Take some fresh dahi in a bowl. Step 2: Add 1 teaspoon of amla powder. Step 3: Use a spoon to blend both ingredients. Step 4: Use your fingers to apply the mask on your hair. Step 5: Leave the mask on for 30 minutes and wash it off with chilled water after. This awesome fruit is a yummy snack that is also abundant in amino acids. This not only helps repair damaged hair, but also improves the texture of your hair at the same time. Care to give this pack a shot? Step 1: Take one banana and mash it up. Step 2: Add a scoop of avocado pulp to the paste. Step 3: Add to that a teaspoon of rose oil and give all the ingredients in the bowl a good stir. Step 4: Apply the mask on your hair and don’t touch it till it hardens. Step 5: After an hour or so, you can wash the pack off with lukewarm water. 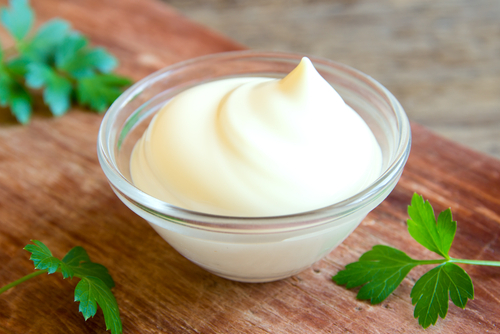 You know you’re going to make an awesome hair pack when you have mayo and eggs as your ingredients! The beauty about using them is that they are both packed with proteins. It takes a couple of minutes to prepare, but it’s so worth the effort! Step 1: In a bowl, add 2 large tablespoons of mayo. Step 2: Add the whites of one egg to the mix. Step 3: Mix well and gently use a brush to apply it on your hair and scalp. Step 4: Massage your scalp in a circular motion. Step 5: In 20 minutes, wash it off and feel free to shampoo and condition your mane after. Number of times: Every alternate day. 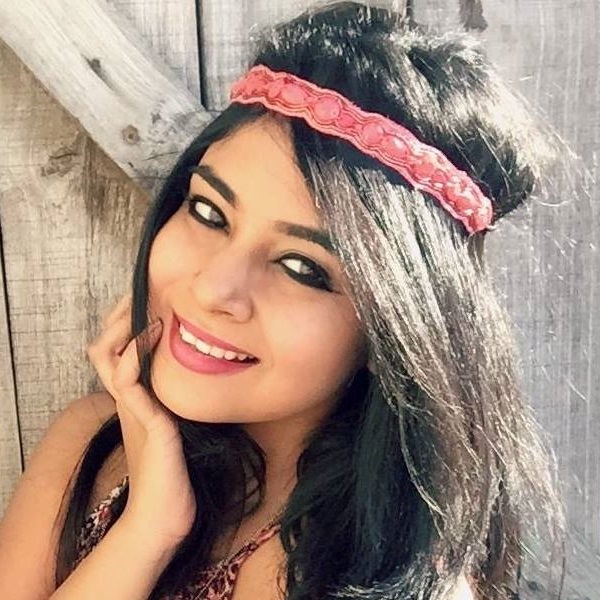 For long, strong and happy hair, you’ve got to give neem leaves a shot! These babies are packed with antiseptic and antibacterial properties that help cure scalp infections. Plus, they promote hair growth too! Step 1: Grind a bunch of neem leaves. Step 2: Add half a cup of fresh water to the thick green paste. Step 3: Directly apply the paste on your hair from root to tip. Step 4: Leave it to soak for a good 45 minutes. Step 5: Rinse your hair with cold water once the mask hardens. 5. 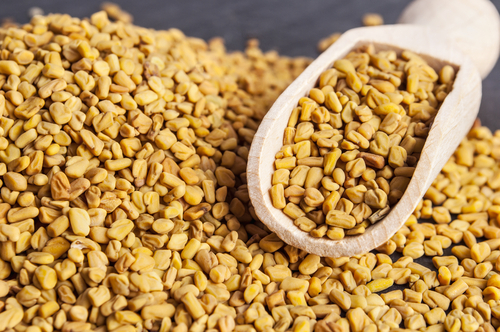 Fenugreek Seeds To The Rescue! Sure they’re tiny in size, but they contribute to the hair quality by improving its texture. You’ll be amazed to know that keeps dandruff at bay and transforms thin and dull hair to thick and shiny locks. Totally worth a shot if you ask us. Step 1: At night, soak 2 tablespoons of fenugreek seeds. Step 2: The next morning, strain the water and place the fenugreek seeds into a grinder. 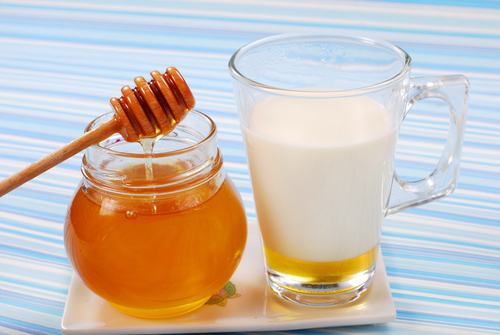 Step 3: Drizzle some honey over the fenugreek seeds paste and while you’re showering, pour it over your locks. Step 4: Wrap your mane in a warm, damp towel and wait for 15-20 minutes. Step 5: Remove the towel and immediately rinse your hair with cold water. Number of times: Thrice every two weeks. Since olive oil is considered to be a good emollient, it naturally conditions your hair and makes it super manageable. Providing luster to dull hair, we bet this hair pack will make you believe in magic! Step 1: In a bowl, add 4 tablespoons of olive oil. Step 2: Add 3 big tablespoons of honey. Step 3: Stir well and apply the gooey mix on your scalp. Step 4: Massage your scalp and make sure the pack is evenly distributed on the strands. Step 5: Wash the mix off with water and continue to use a mild shampoo after. This hair pack will be super nourishing for your locks because it helps moisturize and hydrate them like a pro! Packed with vitamins, minerals and nutrients, you will have Rapunzel-like hair soon after using this pack! Step 1: Pour some milk into a glass. Step 2: Add 1 tablespoon of honey. Step 3: Pour the sweet milk on your scalp. Step 4: Massage from root to tip and leave it on for 30 minutes. Step 5: Once it’s soaked well, wash it off with lukewarm water. Number of times: Thrice a week. Not many of you know this, but potato juice helps promote hair growth and makes scanty hair grow thicker and healthier. Providing your hair with Vitamin A, B and C, your hair is going to look stunning on your big day. Step 1: Peel one large potato, and squeeze the juice from it. Step 2: Add 2 tablespoons of aloe gel and a couple of drops of honey. Step 3: Stir well using your index finger and apply it on your tresses. Step 4: Wash this off after 30 minutes. 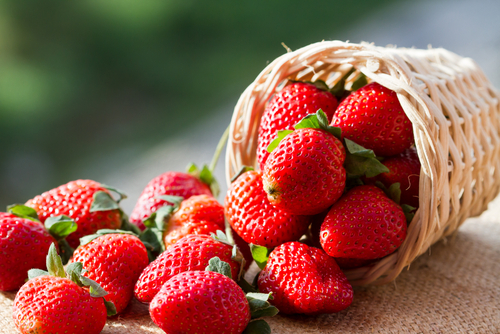 Did you know that strawberries are packed with antioxidants that help hair get moisturized? If that isn’t convincing enough, you must know that strawberries contain copper, magnesium and manganese that help protect your scalp from bacteria and fungus. Step 1: Take 1 cup of pureed strawberries. Step 2: Add the yolk of 1 egg and a tablespoon of olive oil. Step 3: Blend all the ingredients well and gently apply it on your scalp. Step 4: Wrap your mane in a dry towel and remove it after 45 minutes. Step 5: Wash it off using a mild shampoo. Number of times: Thrice every week. Who would have thought that papaya seeds have beauty benefits, right?! Well, they certainly do! In fact, if you have split ends and rough hair, you might want to give this awesome hair pack a fair chance. Step 1: In a mixer, grind a bowl of papaya seeds. Step 2: Once you’re left with the paste, add 2 tablespoons of yogurt. Step 3: Apply on your strands and scalp. Step 4: After 30 minutes, you can wash your hair using shampoo.